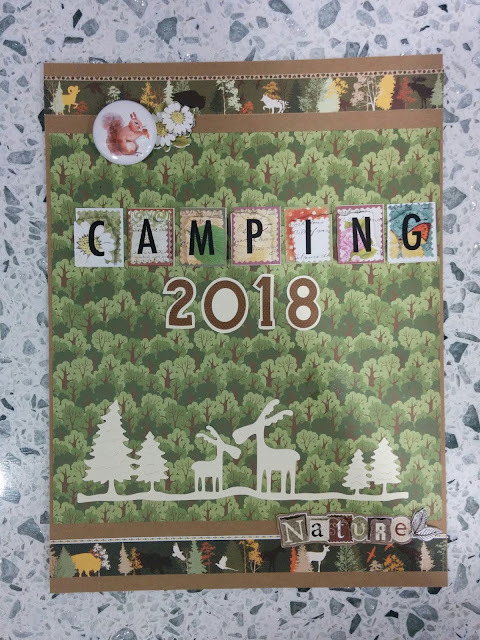 Today, I'm sharing with you my camping mini-album cover. I'm entering my project at Simon Says Stamp Monday challenge: Anything but a card. Yay! I love camping and I love this album cover!!! Very fun and creative!